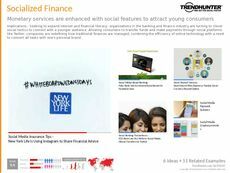 Find Better Ideas, Faster ® with a custom millennial banking trend report, our PRO Dashboard and 80+ categories of premium trend reports. 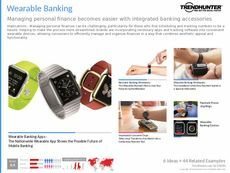 We enter the realm of mobile apps and modern services in the Millennial Banking Trend Report. With a focus on the digitization of banking that improves convenience and streamlines service. Interac transfers are very common with Millennials, sending money to friends, family or children. 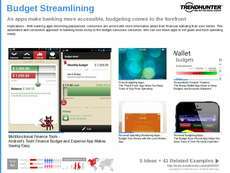 Credit cards are also popular, especially those that include point systems to gamify shopping habits. Finally, deposit apps that allow users to simply snap a picture of a cheque are also favored by Millennials, while Boomers or seniors hold much less trust for technology. 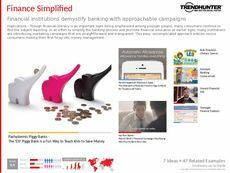 Bankers, brand professionals, marketing teams and financial advisors at banking brands should treat this report as a must-read. 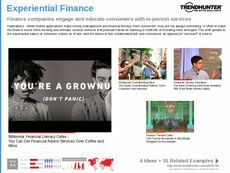 Technology developers for banking and finance systems will find this report interesting, while credit card business professionals will also gain a number of insights from consulting this report. 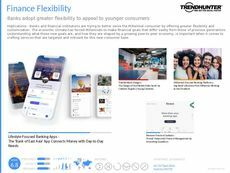 The Millennial Banking Trend Report illuminates the modern methods of banking that are taking over the youth, young professionals and new parent demographics.